We continue in the sequence of consecrations into Reiki. We have realised the consecration through posthumous record of Japanese autistic who lived in one Japanese monastery and consecrated Japanese Reiki masters. Not every record is retained after death, but this is possible in autistic individual mainly because he mechanically rubbed meteoric rocks. Sasa Pueblo finded the burrial place of such Japanese monk and he is able to copy this object for consecrated persons and give it them into their aura. Sasa Pueblo went to the world of dead memories. It is a dimension raised to the power of -20 to -50 meters. Strong autistic people are able to preserve the structure of their memories in the world of dead after their physical death. Only few people are able to preserve own memories after death into the world of dead. Memories released out of the body after death usually disappear within the month. Sasa Pueblo taken over the copy of Japanese monk. He hasn´t taken the object from the burrial place but the record of Japanese monk from the world of dead. Thereby he becomes something like Tulku who has in himself such a posthumous record. In India and in Tibet are Tulkas who have 10 or more posthumous records. Searching of living individuals with active third eye. Consecration of such persons into Reiki and take over their experiences. It is almost impossible to find somebody who has active Reiki 3rd eye and at the same time has something to do with real meteorites. Opening of vestigial structures create spirit inside of the person and this happens directly from vestigial structures straight in the brain. We talk here about Reiki spirit. Such spirit is activated prehistoric consciousness in the brain of modern person. We will call this Reiki spirit and it will help you with Reiki development. After a while of its development it will be able to help you with treatments and consecrations personally. Of course, you need a meteoric pendulum and communicate with such spirit from Reiki brain. Communication is at the level of something as magical formulas. You ask, how to realize Reiki, then you translate this question into the motion of the pendulum and spirit gives you a sign, draws a pattern or writes a text. This is how the communication with 3rd eye spirit looks like and how common relationship would be built. We have to explain a bit more what are vestigial structures in the human body and how evolution medicine describes them. Vestigial structures arise inside the human during the embryonic development. As if the body of the embryo and fetus were carried out in a nutshell all essential developmental stages and quickly wore off. They are not destructed, but gradually stretched in the body of a child and an adult and remain there in the form of vestigial stem cells. They sleep, but you can start to wake them up, connect and bring into the activity. In our case vestigial structures will be activated directly in the human brain. This could lead to positive health impacts. Prehistoric stem cells contain numerous of small organelles mitochondrial factories and mitochondrial power plants and they act favorably on human health once they are activated. In oracular research of longliving individuals who in active form survived for more than 100 years, we found out that it is necessary to revive these structures and this is why these people live so long. Then there is the opportunity to achieve extraordinary ability to see through the prehistoric structure third eye everything prophetically. Prehistoric third eye can be used to build up of spiritual beings. Here we understand the recovery of the third eye with the certain awareness which had this structure in the historical development of man. This is interaction of actual intelligent human psyche and aware of yourself as a person. Whole technique of building third eye being needs pendulum consists of twine with small meteorite at the end. And thus starts communcation by micro-movement. Attention, this is not ordinary communication which has a logic. Rather, it is the communication how to link modern psyche with this prehistoric structure of the third eye. Esotericist – Reiki master constantly trying to open vestigial structures inside of himself over the whole body. According to evolutionary medicine in the human body are 200 areas with vestigial structures. 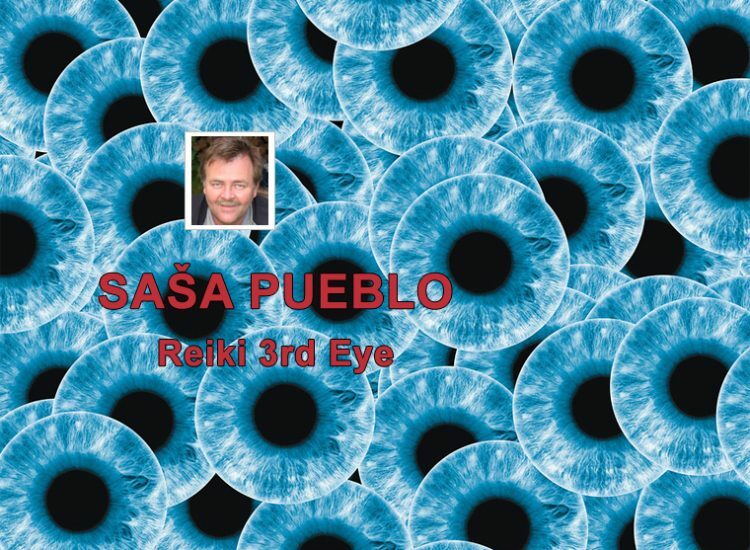 One of the most important is vestigial structure of 3rd eye and its development leads to the oracular perception. This can not be perceived by common sight and not very effective to therapy and to build up higher self. Here are tiny vestigial structures of eye nerves on the forehead between eyebrow. Such structures is possible activate for oracular purposes. The thing is that Reiki person has been consecrated and gets the object Luopan into the aura over the head in the shape of sparkling lotus flower. It is a copy of posthumous object of the person which has feng shui compass made of meteoric iron. This Reiki meteorite object is directly linked to prehistoric vestigial structures and strengthens everything around oracular techniques. Futher connections could direct into the tail bone where are vestigial structures which in the history worked with the tail. In the evolutionary development human lost this tail bone but this potential remains and such vestigial structure is called third hand. This area could be activated by meditation and then it could produce different signs. Reiki signs could be held in the imagination or produced in the tail bone for example for the purpose of Reiki. So with that I have never met. But such wand for dowser could be made of iron meteorite. And thus look for a source of water, oil, gas or objects. We know swords and other weapons made of meteoric iron. Ornament objects, statues, Tibetan bowls of meteoric iron used in rituals, even meteoric cast Buddha statues in Tibet. You can make a pyramid of meteorites or insert meteorite into pyramidal shape. We expect something like Tibetan bowls made of meteoric iron which issue certain sounds and resonances after hitting. We talk about the possibility of the sound produced over meteorites. There are possibilities how to connect classical oracular techniques or astrological techniques on third eye activated in the brain: tarot cards positioned around meteorites, pendulum made of meteorite; compass Luopan for Feng shui and instead of compass inserted meteorite; create different statuettes of angels; meditate and touch meteorites; make a pyramide from meteoric iron; insert meteorite under the pyramide; put meteorite on the head; perform some movements with hands over the meteorite; longer time ongoing movement with meteorite in the hand; magical-intuitive distribution of meteorites around to stabilize the concentration of some kind; form of meteorites, for example runic characters; spin and rotation with a meteorite in the middle of hypnotic spiral; bones of dead animals, human bones, bones of prehistoric people, nurse with meteorites.